We are in the age of fast-track technology. Everything around is constantly evolving and updating. This is also particularly true about the new-age investments. The market is constantly fluctuating and giving rise to countless opportunities. Keeping track of the latest trends and updates in the market has become quite easy these days. However, whom to follow for a regular, timely and reliable update has become a significant question. 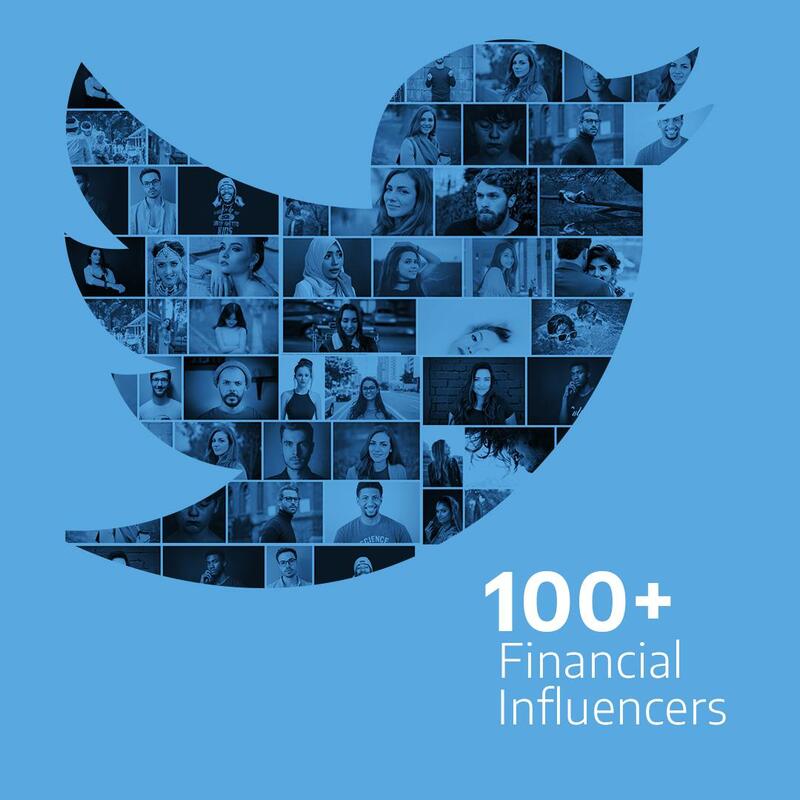 We have compiled a list of 100 Twitter Influencers in the financial and business domain. Following these individuals, you can keep track of the latest trends and happenings in the financial and business domain in India as well as across the globe. Follow the Minister of Finance & Corporate Affairs, Government in India to get timely updates on the Budget, GST and other important financial and economic issues. He is the Finance Secretary, Government of India. You can expect tweets about the latest finance related trends. The CEO, Kotak Mahindra Bank regularly tweets about various world issues such as the trade war, oil prices as well as domestic factors including interest rates, deficit etc. that are lead or lag indicators for the economy. This ex-Financial Editor of Times of India is the Co-founder of Moneylife Foundation, a nonprofit organization that works towards improving the financial literacy of the nation. The author of ‘Putting Savers First’, tweets about personal finance. Samir Arora is the Founder and Fund Manager at Helios Capital Management Pte. Ltd. A veteran investment advisor, he is so experienced that you will also find him sharing jokes or ‘shaayri’ on the markets. His tweets are usually brief but profound. The Executive Editor @CNBCTV18News is a reputed News anchor recognized as one of the keenest watchers of the Reserve Bank of India. Follow her to get the latest news in the banking sector. The MD, Kotak Mahindra Mutual Fund tweets are about the stock market, Mutual Funds and events taking place in the world that affect our economy. This successful investor has to invest in his genes, being born into a family of stockbrokers. He shares a lot of investment advice and has even recorded some in the form of a song! Follow the Chief Economist for Aditya Birla Group who is an IIT IIM Alumnus for his stark and insightful observations on the economy. The Chairman of the Economic Advisory Council to the PM, shares his views on the economy in poetic style! The Deputy Editor at CNBC TV18 is a popular News Anchor who shares important market cues, earning updates and stock tips on her Twitter account. The former Chief Economist of the World Bank shares papers, columns and views on the economy on Twitter. Economic Times has given him the moniker of ‘the small-cap czar’. He is a value investor and the Founder & CEO of the find management firm, Equity Intelligence India Ltd. The Managing Editor, CNBC-TV18 and Series Editor of ‘Young Turks’, one of India’s longest-running shows that put the spotlight on bright ideas & young entrepreneurs, her tweets will keep you informed about important developments in the world of business. He teaches ‘Behavioral Finance & Business Valuation (BFBV)’ at the reputed MBA institute, MDI Gurgaon. He is also the Managing Partner at ValueQuest Capital LLP, a value investing firm in New Delhi. His tweets comprise of opinions, facts and valuable advice. One of the most respected Financial Analysts in the world, Aswath Damodaran’s books, videos, and tweets are reservoirs of valuable information that will help you decipher the way the markets function. He is a prominent stocks observer and usually tweets about stock markets and their fluctuations. He works as News Anchor at CNBC-TV18. Managing Partner, Pantomath Asset Management. Ex-Corporate Editor & Head of Research, CNBC-TV18. He basically tweets about corporate laws and finance based on his understanding. As founder of Safal Niveshak, he helps small investors become independent and smarter in their decision making. Deepak Shenoy is the founder of CapitalMind. His tweets are about stock and market research, and wealth management. He is a prominent economist and tweets about the latest financial trends in India and around the globe. He is self-confessed cricket junkie and a film enthusiast. Ashwini Gujral is an analyst, futures trader and bestselling author. He is a SEBI registered portfolio manager and regularly features on CNBC expert panel. Mr. Sharma is a multi-talented personality. He is a writer, researcher, columnist, and a well-known author. He usually tweets about the economy and agriculture & related activities. Member of 15th Finance Commission of India. As a prominent member of India’s Finance Commission, you can expect insightful tweets about the Indian economy, banking structures, and new fiscal policies. 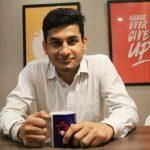 Darshan Mehta works at Bloomberg Quint, having previously associated with ET Now. His tweets are usually related to Indian Stock Market and other movements in the market. Ekta Batra is an anchor & associate editor at CNBC TV18. Her area of expertise is health and pharma sector. She’s been analyzing that sector since 2008. Her tweets are mostly about giving insights about the health and pharma sector and their stock movements. Mr. Parbai is a managing partner of Pabrai Funds, CEO of Dhandho Funds, and has authored The Dhandho Investor. His tweets give out information about market movements and the latest market trends. As the chairman of Motilal Oswal Asset Management, tweets of Ram Deo give good insights about the equity markets and stock fluctuations. He’s an Entrepreneur, investment thinker and organic farmer. Usually, he tweets about share prices, purchasing shares and gives his personal opinion about the same. Lavanya, a Chartered Accountant and writer from Chennai. She works primarily as a CA in practice and has been published in a number of publications like Elle India, Architectural digest India, The Hindu, Buzzfeed India among others. Mr. Singhania is the founder of Abakkus Asset Manager LLP. He also is a member of Global Board of Governors and Chairman of Investment Committee of CFA Institute. His tweets are usually insightful in nature, reflecting his thorough research of the Indian share market. 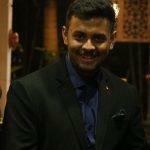 Nigel works as an anchor & Assistant Editor-Research at CNBCTV18. He is quite passionate about bikes, cars, and sports. He tweets about his interviews with prominent personalities in finance, stocks, Sensex movements, and market fluctuations. Mr. Sabharwal is a prominent investment advisor. He also has an advisory website and regularly writes investment related blogs on the website. His tweets give out deep insights into the Indian financial markets. Founder & Chairman of IIFL Group- FCA. He is an ICWA and an alumnus of IIM-Ahmedabad. Tweets about Indian and world financial markets. Expert in startups, venture, cryptocurrencies, and hedge funds. He tweets about his opinions and suggestions about cryptocurrencies and government policies about the same. He’s an editor @nytimesbusiness. Previously worked as editorial writer @nytopinion, He was a housing & finance reporter for Dallas Morning News, Michigan State. Co-founder and advisor at MoneyLife. He is a CA and has authored 8 books. Monika Halan works as a Consulting Editor @livemint. She has also authored a book called Let’s Talk Money. Renuka Jain is an FCA and a CS. She is also a financial & tax advisor, and portfolio manager. Niraj Shah markets editor at Bloomberg Quint. He is very passionate about the equities market and generally tweets about the same- market insights and research. Mr. Muthukrishnan is a CFP (Certified Financial Planner) and a practicing ‘Personal Financial Advisor’. He is very passionate about personal finance and his tweets are a good way to get tips about personal finance. Mr. Jain is the managing editor at Financial Express. He also works as a business editor for the Indian Express. He was previously associated with India Today. He has also co-authored a book called Caste in Different Mould. As a chairman of the 15th Finance Commission of India, Mr. Singh’s tweets are about the financial trends or situations of the Indian economy. She works as the anchor and associate editor for CNBC TV18. She generally tweets about the fluctuations and trends in the stock market. Nayantara works as the news anchor and the bureau chief at ET Now. Earlier She was with CNBC-TV18. She is a huge cricket and tennis fan. Mr. Dalmia works as the Managing Editor at ET NOW. She considers herself a student of the economy (especially India). She’s a Journalist and winner of Ramnath Goenka Excellence in Journalism Awards in 2008 & 2009. Co-Head of Research at Bloomberg Quint. He is an RA Poddar & NMIMS Alumni. Senior Research Analyst at CNBC Awaaz. She is a business journalist and considers herself a great foodie. She loves music, dancing, and shopping. Financial services professional. Expert in personal finance and mutual funds. He is the founder and CIO at StallionAsset. He is also a CFA and CMT. He is the CEO of Motilal Oswal Asset Management Company. Tweets about equity markets and financial trends. Financial Markets Anchor & Principal Research Analyst (Capital Goods, Media & Hospitality) on @ETNOWlive. Tweets about the market movements and the latest updates of the market. Sr Research Analyst & Market Anchor @CNBCTV18Live. He is a CFA. Tweets about the updates of the share prices in the market. Tweets about India, investing, technology, and venture capital. Ira works as the Banking & Finance Editor at BloombergQuint. She is a keen follower of the Indian markets, banking & the economy. Mr. Shukla is the Union Minister of State, Finance, Government of India. He is the Member of the Parliament and tweets about the political situations in the country. Investor & Blogger. Tweets about good reads about Indian Finance domain. Senior Associate Editor, Business Standard @bsindia. President, DSP BlackRock MF. Tweets about the equity markets in India. Financial Advisor – Mutual Funds. Conducts investor awareness programmes. Tweets about investment tips and good reads about the latest happenings in the market. Consulting Editor at MoneyLife. She is the author of the book – The Mighty Fall and co-authored – To the Last Bullet. Tweets about a variety of topics including finance. Editor at Wall Street Journal. She’s a writer and tweets on a broad range of topics including films, markets, government programmes, and fitness among others. Founder and CEO at Value Research. Tweets about a wide range of topics including market trends, fluctuations, and latest updates. Chief Investment Officer, PPFAS Mutual Fund. Tweets about the Indian Stock Market and related updates. He’s passionate about the economy, global finance, and personal finance. He conducts mutual funds awareness programmes to help spread awareness about the benefits of mutual fund investments. He generally tweets about the current financial affairs around the Indian as well as global economy. Business journalist and an Associate Editor Personal Finance & Senior Markets Anchor at CNBC TV18. She loves to travel and is a poet, philosopher & photography enthusiast. Author of Easy Money trilogy & India’s Big Government. His tweets are usually about the banking and finance sector along with updating readers about his books. Vinayak Chatterjee is a multi-dimensional personality. He is the Chairman of the Feedback Infra Group, a columnist at Business Standard, Chairman of the CII’s Nat Council on Economic Affairs, Independent Director on a few boards. His tweets give readers good information about the latest updates in the infrastructural domain of the country. Anchor, M&A Specialist at CNBC-TV18. She tweets about the market and latest happenings across the finance sector in the country. Nitin Bhatia is a well-known trader, investor, and a social media influencer. His tweets cover a broad range of investment-related topics and give out good insights into the stock market movements. Mr. Saluja is a value investor and is a big stock market enthusiast. He is also a blogger and considers himself a huge fan of Warren Buffet. He is the Founder of Sana Securities. He is also a SEBI Registered Investment Advisor. Generally tweets about the banking and finance sector and their latest updates. Mr. Ashish is the Founder of Stable Investor and is a SEBI registered advisor. He likes to help people in making better and profitable investments. His tweets give out good and easy tips of personal finance. Mr. Shetty is a former Senior Equity analyst CNBC. Passionate about financial markets, yoga, and running. Editor at Institutional Equities, CNBC TV18. He has been a journalist for the last 15 years. His tweets show his thorough and deep knowledge about the finance sector of India. Entrepreneur, investor, and economy-watcher. His tweets cover a broad range of topics including global issues, travel, and investments among others. Ms. Raina is a News Anchor at Zee Business. She usually re-tweets her news clips and market-related information. Ms. Iyer is the Cheif Investment Officer -Fixed Income & the Head of Product at Kotak Asset Management Company. She generally tweets about the market movements, value stocks, and debt-related topics. Author of Value Investing and Behavioural Finance & Stocks to Riches. Chairman & CEO, PPFAS Long Term Value Fund. He is the Head of Equity Investments at UTI Asset Management Company. Tweets about the behavior of the stock market over the years, upcoming trends, and latest updates in the equity sector. Mr. Kaviraj is a Value Investor. He was previously associated with Global Capital Market Consulting. Mr. Phalke is a SEBI registered investment advisor. He is a huge stock market enthusiast and a keen follower of the Indin economy. His tweets are usually about the current affairs and share markets. Mr. Adajania was the Editor – Mutual Funds at the Mint. He was associated with the company for 9 long years. He is a big tennis fan and occasionally writes about it. He tweets about a broad range of topics and stories happening across the globe. Writes about stocks, finance, equities. He is also a huge cricket fan. He runs a blog called antinvestor.wordpress.com where he writes about the finance sector and latest happenings in it. His tweets cover a variety of topics apart from investments such as Dravidian politics and cricket. He is the Chief Executive Officer at Aditya Birla Capital Limited. He is a big fan of cricket and a music lover. He tweets are usually inspiring and motivational for the readers. Mr. Nathan works with ET Wealth and is an expert in personal finance. He also writes about personal finance. His tweets cover a broad range of topics including current affairs and political situations in India. Mr. Kapur is a keen observer of the stock market. He is also a professor at IIM Indore. His tweets are generally about the share market movements, value stocks, and financial trends across the globe. Ms. Jain is an investor and tweets about markets and personal finance. He is the Chief Investment Officer at SageOne Investment Advisors LLP. His tweets can give you a good insight into how the market has worked over the years. Author of Bandhan: The Making Of A Bank, Sahara: The Untold Story & A Bank for the Buck. He writes Banker’s Trust every Monday in Mint. He’s a CA and CFA. Loves politics, movies, and markets. The person wishes to remain anonymous to his/her followers. However, that doesn’t stop him/her to solve people’s queries related to mutual fund investments. You can expect some funny but accurate tweets about personal finance, re-tweets about happenings across the globe, and general investment advice. Rachit Jain considers himself a trader and an investor. His tweets can give you great insights into the movements of the market. His tweets are also full of good general advice about investments. Mr. Nandy is a trader of stocks. His tweets are a reflection of his extensive market knowledge. If you think we have missed out on anybody who should be added to this list, please suggest in the comments box. We will add them here. Let’s grow this list together. Mr. Gupta’s tweets cover a wide range of topics. He tweets about the latest happenings in the country, funny quotes or memes and about stocks and market finances. He is a stock market enthusiast and a keen follower of market movements. His tweets usually give out simple trading strategies and information about fluctuations of various stocks in the market. Aakash works at The Profitable Indian. He’s a keen follower of the Indian stock market. His tweets give meaningful insights into the Nifty market and about the movement of stocks. Additionally, he conducts workshops for investors to help them in investing and generate profit. Mr. Tinani works at The BullBull, a knowledge brokerage firm. He usually tweets about the latest updates and happenings in the Indian finance domain and about the stock movements in the market. Also, he tweets about live market intelligence, informing investors about some good options for investing in stocks. Thank you for subscribing with us. We will keep you regularly updated with industry news and financial articles. Additionally, you can explore similar articles at https://orowealth.com/insights/. Thank you so much for pointing out the mistake. We have updated the name. Thanks for the nic call compilation. Hello, We will review these profiles. Shri Gopal Kavalireddi must be added in this list . His ability to do the fundamental analysis of the stocks is brilliant. Hello, thank you for the suggestion. We will review the profile.